Where are they going to relocate to when Germany leaves the EMU? An office for 2300 people with the usual stuff around it say 70000 sqm., well lets round it off to 100000. With construction costs of 12 000 Euro per sqm in between some German cows? Simply doesnot add up. Or other costs are included. But 12000 Euro per sqm construction costs in farmland close to Ffurt no way. Rik's right. Rik's figures are very generous, so there's something very wrong with these costs. What's getting paid for on the side from this budget? 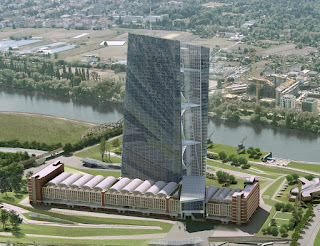 Speaking as a long-time UK taxpayer, I don't remember giving the private bankers who own and control the so-called European Central Bank permission to spend any of my money to pay for the contruction of their building. Correct me if I'm wrong, Anonymous, but surely the eurozone members pay for this - or DO WE PAY too? `In any case the IMF and the Commission and - er - the ECB are used to dealing severely with profligate spendthrifts. This is a ridiculous way to be spending money, especially given the harsh economic times. This just highlights the separation from those at the top and those at the bottom struggling to make ends meet. I have been a part of the construction industry with Promax and the last few years have been really tough. 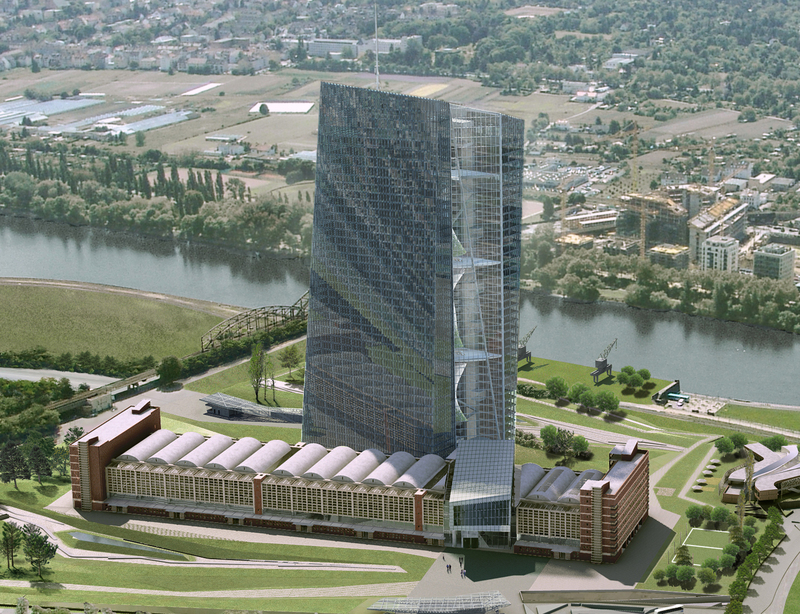 There is little demand and governments are doing little increase it, and now we have the ECB blowing lots of money on their new headquarters. What was wrong with their old HQ?